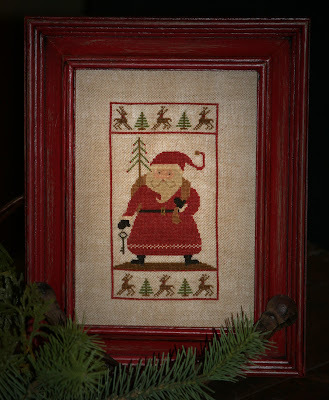 With thy Needle & Thread: Where's Rudolph? I just posted about you and them on my blog - hoping to send people over here to see and fall in love too! Hope that's ok? Santa looks very cute in the frame. How beautiful your 'Where's Rudolph' turned out.